We are walking at a fast clip, ascending a trail that seems to keep going up. The ground finally levels and we stop to peer at the landscape below. 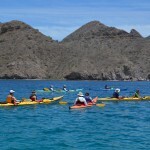 To the right, the rocky Islands of Loreto, their jagged masses jutting from the Sea of Cortez. To the left, a serene beach the shape of last night’s crescent moon, cradling the midnight-blue waters as they gently collide with the sand. The quiet desert and the endless ocean — it works. Further to our left is Villa del Palmar at the Islands of Loreto, a hotel and spa about 25 minutes south of the airport. The nearest town is Loreto, about 10 minutes north of the airport and two-thirds of the way down Baja California’s 760-mile-long peninsula. View of the Villa del Palmar Resort and Spa from the trail. The dramatic backdrop is created by the rugged Sierra de la Giganta Mountains. The hotel is 25 minutes from the airport. Many of the hotel guests come from Calgary, Alberta, to escape the harsh winters. All of the units have kitchens, terraces and ocean views. 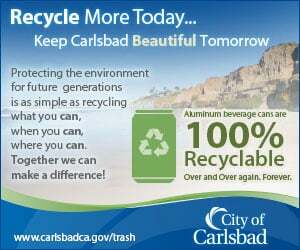 Off-season rates are in effect from May 8 to Oct. 8. The golf course opens in November. Our comfortable suite is only a handful of minutes from the trailhead, the starting point for several excellent hiking paths. The trails wind up and around the surrounding landscape, which is dotted with organ pipe cacti (called Cardon, the world’s largest cactus that look suspiciously like saguaros), forest-green chollas, pickle weed, ironwood trees and other flora that harbor the secrets of surviving Baja summers. Our energetic trail guide is Carlos Alberto Velasco Sau Sanchez Rodriquez Encarnacion Gonzalez Tercero (the third), “but you can call me Carlos Velasco,” he tells us with more enthusiasm than any human being should have this early in the morning. 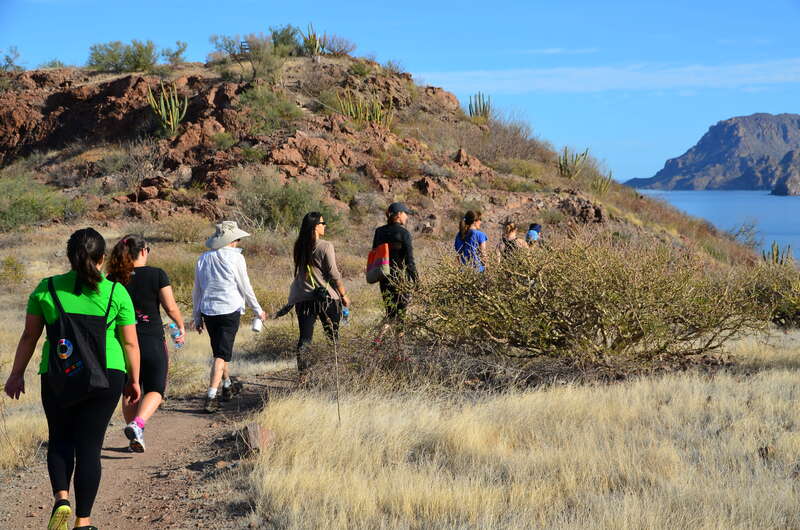 But his energy is contagious and these trails are special because Velasco designed and helped build them four years ago when Villa del Palmar opened. 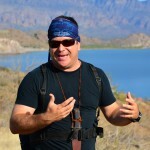 Now director of the hotel’s Danzante Tours, Velasco leads hikes several times a week and revels in expounding about the geologic, biologic and human history of this slice of his native Baja. He also tosses out tidbits about surviving in harsh terrain. “For every one pound on your body, this represents one meal a day,” Velasco explains at one stop. I consider this and decide that ice cream is definitely in order later this afternoon. I’ve never been further south in Baja than Rosarito, so each day at this resort is an education. It began while we were still suspended over Loreto (Alaska Airlines has one flight daily from Los Angeles) and saw the unusual colors of the Sea of Cortez below. Its shades of deep blue, turquoise and emerald are unlike anything I’ve ever seen. 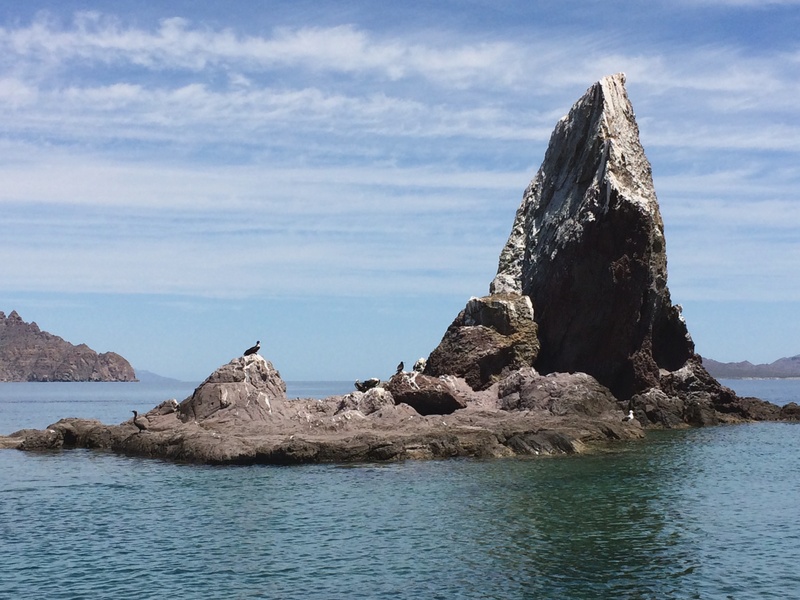 Courtney Kretchman, a Los Angeles-based writer, enjoys excellent snorkeling in the Sea of Cortez near the Islands of Loreto off the Baja Coast. Jacques Cousteau referred to the area, now a marine sanctuary, as “the world’s aquarium” because of the huge numbers of sea life in the clear waters. Two days later, we are on that water in a boat headed for the rocky Danzante and Carmen islands and their winged inhabitants, the blue-footed boobies. Our guides Frank and Juanito tell us about the birds’ strange mating dances and the legends and customs of the natives who once inhabited this area. Through the crystal-clear, almost iridescent aquamarine water, we can see green, orange-and-black, and purple-and-yellow-striped fish as well as sea urchins, starfish, eels and other creatures I can’t name. The underwater show is better than I’ve ever experienced. We kick in and out of warm and cold currents for awhile, then pile into the boat and head to a small sandy beach for a picnic. I leave my food unattended while I try to get a photo of the group and a couple of seagulls swoop in and grab most of my sandwich. Smart birds (darn it) and good entertainment for everyone else. 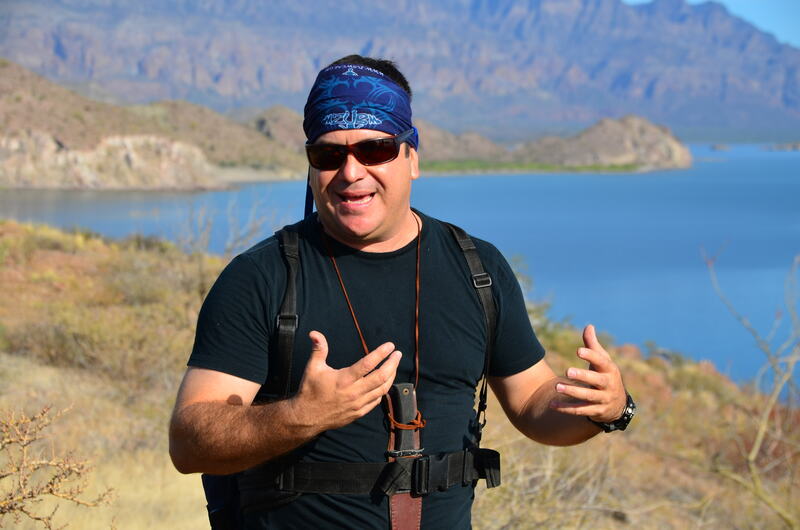 Carlos Velasco, the hotel’s tour director and a native of Loreto, provides narration on Baja’s geologic, biologic and human history during daily hikes. He designed and helped build the well marked trails about four years ago when the hotel opened. 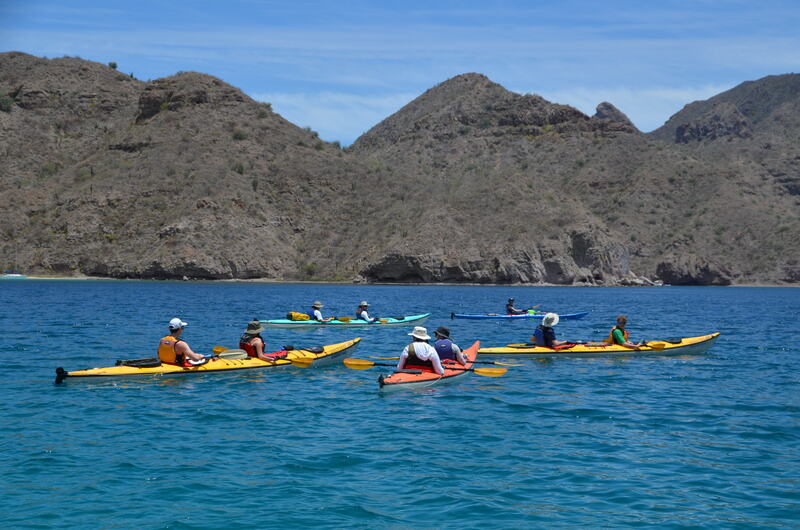 Kayaking is a favorite activity for visitors who visit Villa del Palmar, a resort and spa near the town of Loreto, on the east shore of Baja California. Calm and clear waters make conditions perfect for all skill levels. 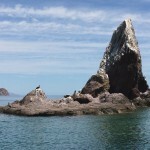 Rocky prominences like this one in the Sea of Cortez (Gulf of California) near Loreto on the Baja peninsula are home to several species of birds, most notably the blue-footed booby. Also found in the Galapagos Islands, the male boobies perform an elaborate dance to woo the females. Federal departments bracing for costly wildfire seasonViva la pesca!